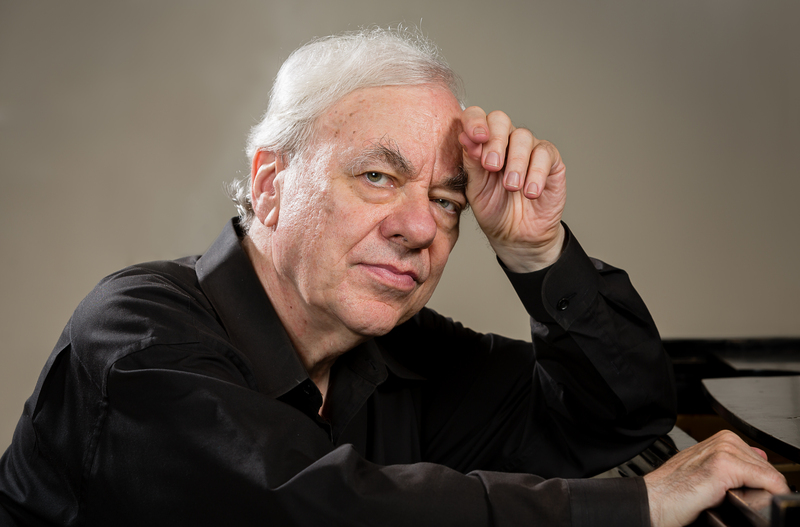 Richard Goode returns to the Oxford Piano Festival for a recital at Oxford’s Christ Church Cathedral on 3 August 2018. Goode performs a programme of Haydn Piano Sonatas, Berg Piano Sonata and Beethoven Op.101, followed by a selection of Mazurkas and other short pieces by Chopin. "The opening movement showed his gift for color and phrase with warm sighs and sparkling turns. Grace and wit characterized his interpretation... pulling at the ends of phrases and achieving warm glow in the sound." Richard Goode joins Joshua Weilerstein in the Netherlands this month for his debut with the Netherlands Philharmonic Orchestra in two concerts at the Amsterdam Concertgebouw on 12 and 14 May 2018. Goode is the soloist in Mozart Piano Concerto No.20, while Weilerstein also conducts Shostakovich Symphony No.11. Whilst in Europe, Goode also returns to Wigmore Hall where he performs every season, to play a recital programme on 18 May which includes two Pavians & Galliardes from My Ladye Nevells Booke, Bach’s English Suite No.6 in D minor, Beethoven’s Sonata Op.110 and Debussy’s Preludes Book II. Goode also delivers a public masterclass at Wigmore Hall on 19 May when he will teach a selection of top students from London’s conservatoires. The following week, Weilerstein conducts the Lahti Symphony Orchestra in a programme of Arvo Pärt Cantus In Memoriam Benjamin Britten, Berg Violin Concerto with Kristóf Baráti and Dvorák Symphony No.6. Richard Goode returns to the Lincoln Center on 17 April 2018 to perform in recital at Alice Tully Hall. The recital is part of Lincoln Center's Great Performers series and features a programme of Byrd, Bach, Beethoven and Debussy. Goode performs the same programme at the Minneapolis Chopin Society on 8 April, at Caramoor International Music Festival on 15 April, and at University of California Berkeley on 22 April. "Pianists must create their own individual sound world with Debussy... though few do so with as much diligence and artistry as Goode... Rhythm avoids stasis at all costs, with a healthy forward momentum, but always with such soft attacks and releases that the music seems more conjured than articulated... with firm but velvet-coated fingers." "The American pianist was eloquent and thoughtful, alive to this concerto's expressive character. His touch at the keyboard was a joy: we had pearly scales in the Allegro, a robust simplicity in the Romance, and the Rondo became an impish dance." “It was entirely natural music-making, with the pianist’s brain and heart working together in perfect harmony, and it was a richly satisfying experience." "Richard Goode manages intense moments of beauty, especially during the cadences in which he paradoxically marries expressive depth and light grace. A great joy!" Goode ends 2017 with another performance of Mozart, joining Jaime Laredo and the New York String Orchestra at Carnegie Hall on 28 December to play the composer's Piano Concerto No.20. He performs it again in March in Manchester with Ben Gernon and the BBC Philharmonic. Following this, Goode returns to the USA for recitals in Philadelphia, Richmond Virginia and Lewiston Maine. Richard Goode returns to the Southbank Centre on 30 September 2017 for a performance of Mozart Piano Concerto No.20 with the the London Philharmonic Orchestra and their Principal Conductor, Vladimir Jurowski. Click here to watch an excerpt of Goode performing Mozart’s Concerto No.12 with the Mostly Mozart Festival Orchestra and Louis Langrée. Richard Goode makes his debut at Verbier Festival this month with two performances on 24 and 29 July 2017 at the Église de Verbier. The first performance sees Goode collaborating with Renaud Capuçon and Edgar Moreau to perform Brahms Piano Trio No.2. On 29 July, Goode performs in recital with a varied programme of Mozart, Janáček, Beethoven and Debussy. Click here to watch the concert on Medici. Prior to this, Goode performs at Festival Internacional de Música Pau Casals in El Vendrell, near Barcelona on 20 July, with the same recital programme, which Goode then repeats at Oxford Piano Festival on 2 August and Mänttä Music Festival on 9 August. Richard Goode returns to Europe once again for a recital tour this month, beginning with a performance at Chipping Campden International Music Festival on 17 May 2017. Goode's programme for the tour includes Bach Partita No.6, a selection of Chopin Nocturnes and Mazurkas and Beethoven Piano Sonatas Op.101 and Op.110. Goode also performs at Bergen International Festival on 25 May, Bath’s International Music Festival on 28 May and the Royal Festival Hall in London on 31 May. "Goode's Wigmore Hall programme was brilliantly calculated both to satisfy the musical appetite and to furnish the mind... especially when given with Goode's radiance, evenness and searching quality of articulation, not to mention his formidable yet contained energy." "Goode gave those chosen a light and airy outing - frisky, noble, joyous, and harmonically strange at times. The Ballade was shapely and inviting - nothing signposted - so that the emotional distress flares towards the end made much impression. The expansive Polonaise-Fantasy was imposing from the off, expressive and powerful as required; it mused and became impassioned." Goode's forthcoming highlights this season include recitals around North America and at the Royal Festival Hall in London, the Bergen International Festival and Verbier Festival. Richard Goode returns to Europe this month to make his debut with the Helsinki Philharmonic on 18 November 2016. Goode joins the orchestra at Helsinki's Music Centre for a performance of Beethoven Piano Concerto No.4, which he recorded in 2009 with the Budapest Festival Orchestra. Following his performance in Helsinki, Goode then begins a solo recital tour of Europe beginning at Antwerp’s deSingel on 24 November. He also performs at Budapest’s Liszt Academy (26 November), Madrid’s Auditorio Nacional de Música (29 November) and London’s Wigmore Hall (3 December). Goode performs a programme of Bach Italian Concerto, 15 Sinfonias, a selection from the Well-Tempered Clavier and a second half including Nocturnes and Mazurkas by Chopin. Richard Goode returns to the Edinburgh International Festival on 26 August 2016 for a recital at Queen's Hall at 11am. Goode performs a programme of Mozart, Janáček, Brahms, Debussy and Beethoven, and the recital will be broadcast live on BBC Radio 3. Following this, Goode repeats the programme at Auditorium di Bolzano on 1 September and at Piano aux Jacobins in Toulouse on 6 September. Prior to this, Goode returns to Mostly Mozart Festival in New York’s Lincoln Center, where he performs with the festival orchestra conducted by Louis Langrée. He performs Mozart Piano Concerto No.12 in two concerts taking place on 9 and 10 August. Richard Goode returns to London this month for a recital at the Royal Festival Hall, performing on 25 May 2016 as part of International Piano Series. Goode performs Schubert's final three sonatas, D.958, D.959 and D.960. Prior to this, Goode performs the same programme at Manchester’s Royal Northern College of Music (21 May) and at Bath’s Assembly Rooms as part of the Bath International Music Festival (23 May). Following this, Goode performs in Budapest at Liszt Academy of Music in a duo recital with violinist Kristóf Baráti on 31 May. On the programme is sonatas by Mozart, Brahms, Janáček and Beethoven. 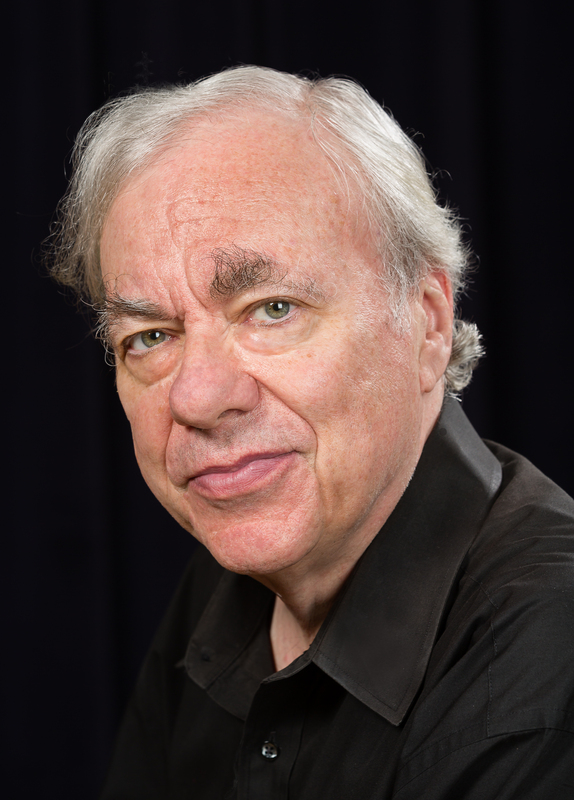 Richard Goode is featured in the Great Performers Series at Lincoln Center this month, performing in recital at Alice Tully Hall on 9 April 2016. The all-Bach programme features the French Suite No.6, 15 Sinfonias, Keyboard Partita No.2 in C minor and Italian Concerto. Goode earlier performs the same programme in Philadelphia at Kimmel Center for the Performing Arts on 1 April, as part of Chicago Symphony’s recital series at Symphony Center on 3 April, and at Princeton’s McCarter Theatre on 5 April. Following this, Goode returns to Cincinnati Symphony Orchestra for two performances on 15 and 16 April, under the baton on David Zinman, where he performs Mozart’s Piano Concerto No.27, K.595. Richard Goode performs a number of recitals this month in the U.S., including an all-Bach programme at Herbst Theatre in San Francisco on 25 February and Vancouver Recital Society at Vancouver Playhouse on 28 February 2016. In addition, Goode performs Beethoven’s last three Sonatas and a selection of Bagatelles at Seligman Center in Detroit on 6 February, and again in Interlochen, Michigan, on 9 February. He performs a variation of this programme on 19 February at the Folly Theater in Kansas City. 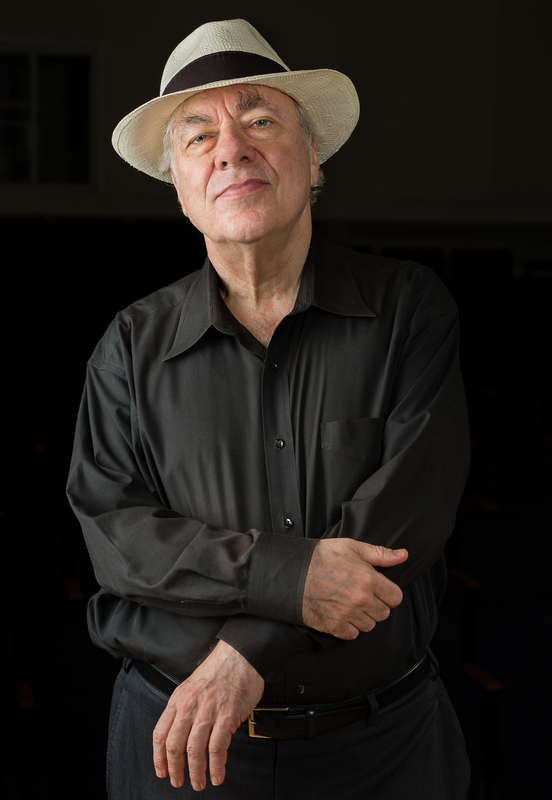 Richard Goode opens 2016 in Europe, beginning with a concert with the Orchestre National de Lyon and Ton Koopman at the Auditorium de Lyon on 14 January. Goode performs Mozart Piano Concerto No.27 in a concert that marks his debut with the orchestra, before returning on 16 January for an all-Bach solo recital. Goode then continues on to Italy for a recital at the Teatro Carlo Felice di Genova on 18 January, performing a programme of late Beethoven including Piano Sonatas Op. 109, 110 and 111 and the final six of the Eleven Bagatelles, Op. 119. Goode has performed frequently at this venue over the years, most recently in February 2012. 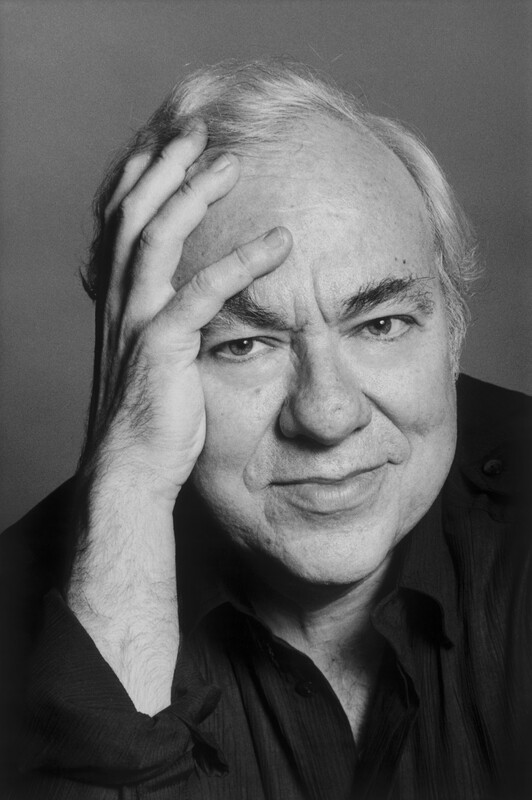 Richard Goode returns to the UK this month, performing in recital at Wigmore Hall on 12 November 2015. Goode presents a programme of Mozart Sonatas No.8 & No.15, and Brahms Six Pieces for Piano Op.118 and Four Pieces for Piano Op.119. Before performing in London, Goode performs the same programme as part of Glasgow Royal Concert Hall’s weekend festival, The Piano, on 8 November. Goode also gives masterclasses at Guildhall School of Music and Drama – where he is International Chair of Piano Studies – and the Royal Conservatoire of Scotland. During his tour, Goode will appear at Chipping Campden Music Festival (20 May 2015), Cambridge’s West Road Concert Hall (22 May), at Swarovski Kristallwelten in Tyrol, Austria (27 May), deSingel Antwerp (29 May), Heerlen’s Limburg Theater (31 May) and London’s Wigmore Hall (3 June). Richard Goode returns to the Boston Symphony Orchestra for two performances of Mozart’s Piano Concerto No.27, K.595 on 6 and 16 April. The concerts will be conducted by Andris Nelsons and will take place at Boston Symphony Hall on 6 April and New York’s Stern Hall on 16 April. 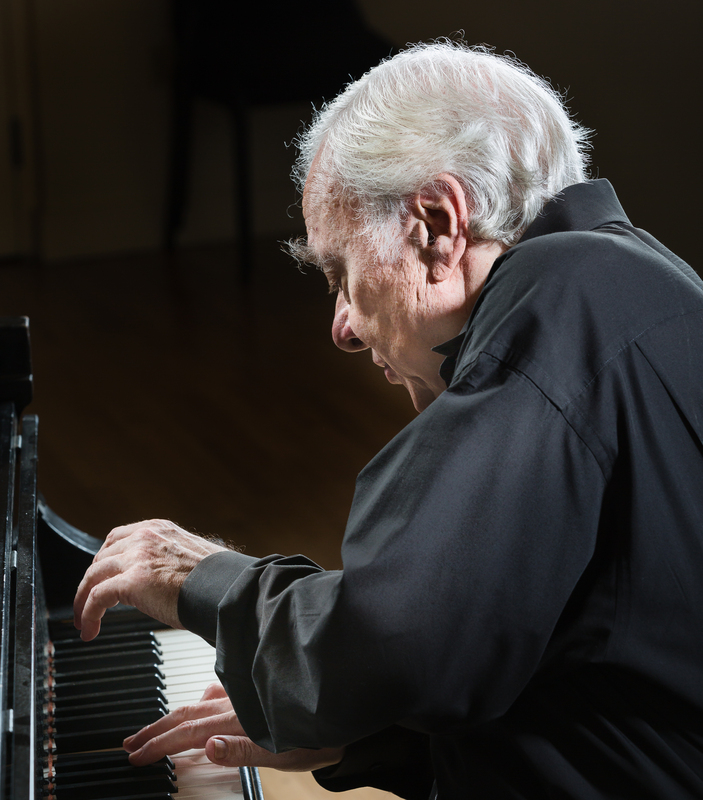 Following this, Goode will perform a number of recitals across the country, beginning with a performance at the Shriver Hall Concert Series, Baltimore (19 April) before continuing on to the Perelman Theater, Philadelphia (21 April), Stern Hall, New York (24 April), University of Michigan, Ann Arbor (26 April) and Vlahcevic Concert Hall, Richmond Vermont (2 May). Richard Goode returns to Europe for his debut in Iceland on 10 March. Goode will perform in recital at Reykjavik’s Harpa, as part of the Master Pianist Series at the hall, and will play a programme of late Beethoven, including the last three sonatas, and a selection from the Eleven Bagatelles, Op.119. Following this, Goode will perform the same programme at Amsterdam’s Concertgebouw on 15 March, at the long-running and prestigious Master Pianists series. Critics have described Goode’s past performances of this programme as “oracular” and “landmark” (Independent) and “organic and inspired” (New York Times). Following this, Goode returns to Europe for the final time this season, for performances with the Deutsches Symphonie-Orchester Berlin on 7 and 8 June. Goode performs at the Berlin Philharmonie with the Deutsches Symphonie-Orchester Berlin and conductor Herbert Blomstedt. Goode will open the concerts with Mozart Piano Concerto No.25 in C major, K.503. Following this, Goode makes his Irish debut with a recital in Dublin at the Royal College of Physicians on 11 June, repeating his Carnegie Hall programme of Schumann, Janáček and Debussy, which he also performs at Aldeburgh Festival on 14 June. Richard Goode performs Mozart Piano Concerto No.18 K.456 with the New York Philharmonic Orchestra for three concerts on 5, 6 and 7 December. The performances take place at Avery Fisher Hall and will be conducted by David Zinman. Goode has a long history with the New York Philharmonic. He made his subscription debut in November 1981 with a performance of Beethoven Piano Concerto No.4. He performed this same piece at his most recent Philharmonic appearance, in April 2008. Richard Goode returns to Europe in May to give several recitals of the all-Beethoven programme he presented at the Carnegie Hall on 1 May. The programme includes Piano Sonatas Op. 109, 110 and 111, and the final six of the Eleven Bagatelles, Op. 119. Recitals take place at the Berlin Konzerthaus (May 20), Auditorium C. Pollini in Padua (May 22), deSingel in Antwerp (May 25), Bridgewater Hall, Manchester (May 30), and London's Wigmore Hall (2 June). Additionally, Goode returns to the Guildhall School of Music and Drama as International Chair in Piano Studies to deliver his third masterclass of the season, and also gives masterclasses at the Royal Northern College of Music and at deSingel, where he also gives a lecture-recital on Beethoven’s Op.110 Sonata. Of Goode's Carnegie Hall recital earlier this month, the New York Times commented: "Among the myriad alluring elements of his performance… was the sense of architecture, a narrative arc through calm, suffering, conflict and transformation that proved striking in both the individual sonatas and in the programme as a whole. Mr Goode’s playing was organic and inspired, the noble, introspective themes unfolding with a simplicity that rendered them all the more moving." Looking ahead, in a season that marks the 50th Anniversary of his New York recital debut, Goode will be performing the last three Beethoven sonatas and the Opus 119 Bagatelles across the USA and Europe, including in London, Manchester, Berlin, Glasgow before closing his season at Carnegie Hall.